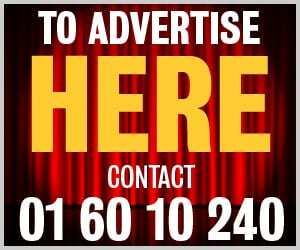 A Dublin mother recently walked away from her regular game of bingo with a jackpot of over €27,000. 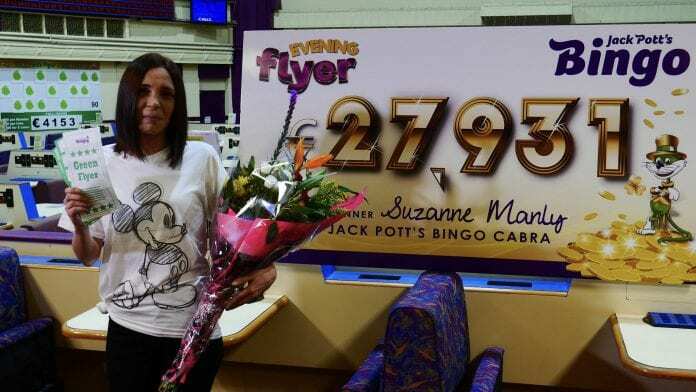 Mother of three Suzanne Manly spent €4 on her lucky ticket at Jack Pott’s Bingo club at the Cabra Grand, learning her fate when the bingo caller announced, “One Dozen, Number 12”, the final number required for Suzanne to scoop the biggest cash prize ever awarded at a Jack Pott’s Bingo club. Suzanne said: “I didn’t realise that I won at first. A woman behind me started shaking me on the shoulder, telling me that I won. I’m still shaking to be honest. I was playing with my sister, Michelle and my friend Amy at the time, they were just so happy as was everyone else in the club. I could hardly sleep when I got home, I stayed up until two o’clock in the morning drinking cups of tea. It’s mad! The lucky winner plans to take her children on a family holiday to Salou in Spain later in the year. First up, however, she plans to invest in her home and put in new floors and a lovely new bathroom, not to mention some new trainers for her two boys.